Affiliate social media trends tend to change super fast. Nowadays SMM specialists are making a great emphasis on visual content. Agree that pictures are easier to perceive in comparison to thousands of written words, especially now in the era of image-sharing social media platforms. Of course, it’s no wonder why such social networking sites like Instagram, Snapchat, Tumblr and Pinterest attract millions of businesses to work with them for marketing purposes. It’s just that modern people have little time for consuming large pieces of information and want to do that in the fastest possible way. Could you even imagine than an average person remembers 80% of what he sees, meanwhile there’s only 20% of what he remembers from the read information? Among other interesting facts about visual perception, there’s one about our brain that can process images 60,000 faster than text. And it’s not even a joke. Besides, visual content is 40 times more likely to be shared across the social media users. Now that an incredible power of visual content was literally scientifically proven, the conclusion is quite simple: as social media marketers, we have to pay tribute to images as one of the most attractive tools to promote or sell your product. Therefore, you have to let some good visual content strategies in your game. 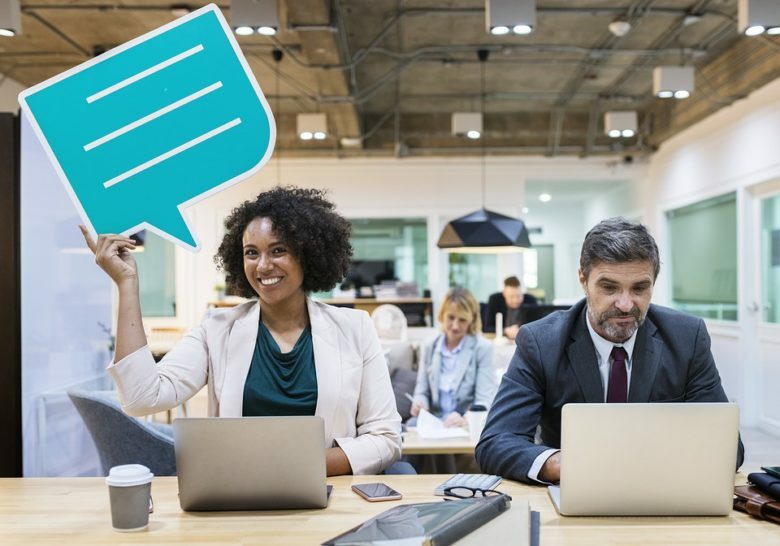 So, if your affiliate network business follows the latest marketing trends and is already working with social media, this post will surely come in handy. Profitner can help you figure out 9 most workable types of visual content that MUST BE included in your content marketing strategy. Obviously, there is nothing “more visual” than images. From your own experience, you should know that posts containing images attract more viewers. This is surely essential for marketers and businesses when it comes to affiliate social media marketing. What is more important, they are easily shareable among potential customers. It’s just the matter of the images’ content and their whole concept. Surely, you need to opt for high-quality images to make your brand professionally looking. Among the above, you should never forget about branding each of the image, namely including your company’s logo or the website’s name. All of the world known companies have Instagram profiles promoting their services or products. For instance, fashion brands like Prada, Versace or Channel post images with celebrities or famous models wearing their clothes. This way, they attract way more followers who like seeing recognizable persons in their Instagram profile. If you are looking for a good online source of quality images with no copyright marks, then visit Flickr and Morguefile. With a help of Pixlr, Polarr, iPiccy, Phonto and Canva you might also want to edit the photos. It may be much harder to work with videos, although believe us: it’s just worth it! According to studies, if you have a large piece of information to get to the audience, videos are more likely to be watched and listened than text to be read. Brands promoting their goods using videos based on the audience’s likes, needs, and actual topics will sooner or later have their success for sure. Of course, the quality of the video and its content have their own great impact on a person watching the video. Therefore, you might want to involve professional video makers and editors with their own professional editing tools to make your clips competitive. Keep in mind that the optimal video length does not go over 2 minutes since it’s simply tough to get the audience watch super long clips until the very end. If you’re willing to treat the video editing process seriously, then choose the right software for that. Among the most popular professional video editing programs are Sony Vegas Pro, Apple Final Cut Pro X CyberLink PowerDirector, Nero Video and iMovie. Graphics help to display the information in the way that it’s easily understood at a glance. Apparently, such visualized data tend to be 10 times more efficient for perception than text. Provided statistics and other data are indeed of current interest for the potential customers, infographics can have a great effect online. They are easy to share and usually, it takes a person no longer than 10 seconds to process and absorb the information. Some of the graphics come in form of how-to-do instructions/tutorials. For example, Maybelline Cosmetics create make-up tutorials using their own make-up products as a part of their marketing strategy. Infographics deserve to be called one of the most sensational tools that were ever created on the Internet. Why is there actually so much interest around infographics? In fact, it was already proved that publications with infographics attract more viewers than any post written in text. Infographics rule the world of information posted on the social media and it’s a fact. Correspondingly, this is a powerful marketing tool and you must add it to your list. Because of an unusual for the image format, on most social media platforms infographics are just uncomfortable to use. Clearly, some brands post infographics to their Facebook profiles, since FB is definitely one of the main social media giants with a great audience from all over the world. However, there are two social networking platforms where a format of a typical infographic works just fine. This is Pinterest and Mashable (an infographic board). Pinterest is a perfect place to get some inspiration and share some of your good-looking infographics in different boards sorted by the topic. Mashable in its turn created a new format of infographics that looks incredible in combination with a fun and informative content. In order to create your own graphics, infographics, and tutorials, you can either hire a professional designer or use paid/free software, like Piktochart, Vizualize, Venngage and many others. Ok, watching videos are totally much more time-saving than reading a long piece of text. Nevertheless, most people are super busy and have no time to even watch a two-minute video. This is when a GIFs come in handy. These ones last no longer than a few seconds, and therefore they have been commonly used online for several years already. And if you wonder how GIF animations have become a worldwide Internet phenomenon, it’s very simple to explain: they’re super adorable! GIF images exist on Facebook, Twitter and their analogs (Boomerang) exist even on Instagram. Want to know how to create GIFs? Use Giphy, Tumblr Creatrs, and Imgur. In fact, with the following sites, it’s just a matter of several minutes. Originally, Internet memes work as an entertaining content using popular and actual topics that are literally in the public eye at the moment. They are so easily shareable and simple to create that more and more brands thought of using memes for marketing purposes. Now it’s called memejacking. Thousands of worldwide companies in their social media profiles interact with their audience through memes. Being fun is also a part of the social media marketing strategy and oftentimes the results are more than successful. Where to create memes? To start out, use these programs like Recite, Image Chef or Meme Generator. For more proficient looking memes, like the ones used by world-known brands, you may involve other photo editing programs, like Photoshop or any graphic design software. Any experienced Internet user at least once has come across presentations and webinars from some sort of companies willing to share with you some useful piece of information. With an existence of presentation and webinars, the life became much easier, for both the consumer and the marketer. While consumers get all the necessary information in a very concise and simplified way, marketers build up a network of potential customers. For sure, you know about SlideShare. This platform hosts millions of presentations you can create directly on the website and afterwards, share it with public. 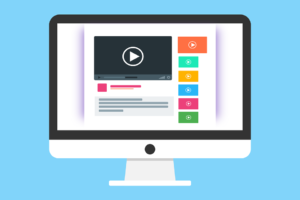 Carrying out webinars is possible due to so many different social networks, from most traditional Google+ Hangouts and Skype to the newest tools on Periscope, Youtube, and Instagram that give brands an opportunity to make streaming videos. Ready to share a presentation? Then, take advantage of such websites like Prezi, PowToon and SlideShare. Thinking of going lifestream? Then, try to learn how to work with each social media video streaming tool. It’s easy and yet very effective for establishing a better contact with the audience and understanding it better. Drawings, particularly comics, and memes have much in common. Such drawings are frequently utilized by brands, since this type of visual marketing is simply fun and entertaining for the potential audience. Consequently, there are more chances to attract customers that would want to purchase your goods or services. For example, TWIX social media accounts are full of funny drawings with two TWIX chocolate bars that are usually packaged in pairs. If having comics and other drawings in your social media profiles sounds like a good idea for you, be ready to hire a designer or illustrator. The only other alternative are resources with tons of drawings or illustrations you can slightly edit. The second idea works fine provided your business budget is still very tight. E-books are very convenient and you can use this fact in your own favor when it comes to advertising your business. One of the possible options is creating a short guideline or overview of your brand/company in order to get self-promoted. You don’t have to write a super-long 100 paged book – the optimal length is approximately 20 pages. Besides, make the text easy to understand for everyone regardless of their prior knowledge about your brand or not. This way, you can reach your goal more effectively. If you want to create a workable e-book then you won’t have any other choice but hiring a professional designer and writer, unless of course, you can make do this kind of tasks on your own. Adobe Illustrator can come in handy for those who chose to handle the process without any additional help. But the thing is that the program is NOT free. The other alternatives for such software are Pages on IOS and NeoBook, which is a free app online. So, here were 9 most valuable visual content used by marketers on social media for promotion purposes. To sum up the entire points, inserting these content into your company’s profiles makes some really good sense. We hope that Letsvisualize.com made it clear how these things would work for your success. Wish you all a big luck in your business prospects!